Inspired by the larger Vornado 660, the 460 features dramatic gloss and matte finishes and sleek lines. 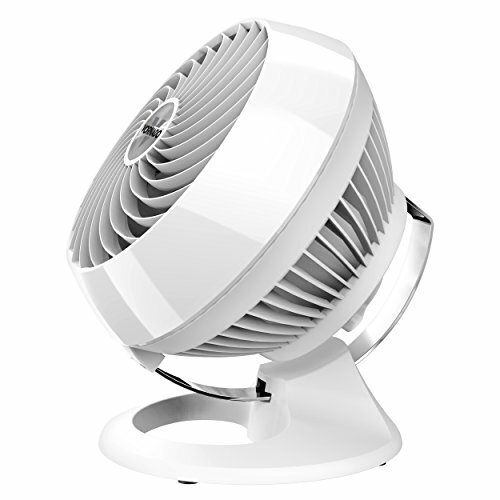 Its whole-room vortex action empowers the 460 to move air up to 70 feet. A chrome glide bar enables a full 90-degree tilt, and a user-friendly knob controls three airflow speeds. Maintenance is simple with a detachable grill that provides easy access to the blades. And the 460 is backed by Vornado's industry-leading 5-year satisfaction guarantee.